The rise of athleisure hasn't gone unnoticed by companies trying to flex other muscles, like Nike. 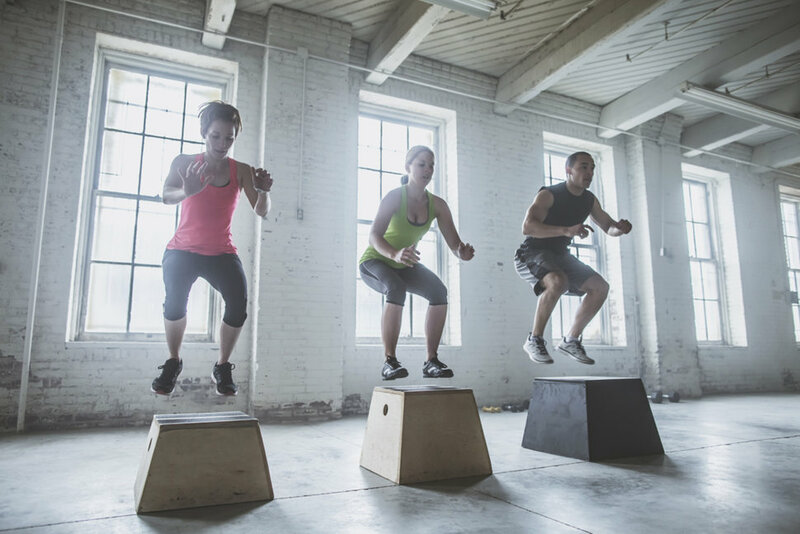 Retail consumers are willing to pay more of the manufacturer's suggested retail price for athleisure (think Lululemon-style) items while they aren't for other types of clothing, according to new data from Fung Global Retail & Technology and First Insight. This is amid the sector's growth and womenswear becoming more casual. Consumers decreasingly wanted to pay full market price on seven out of 10 womenswear categories in the report, which examined data from January 2013 through June 2016. The companies partnered to analyze the data set of more than 57,000 women's apparel and accessories products across these categories. 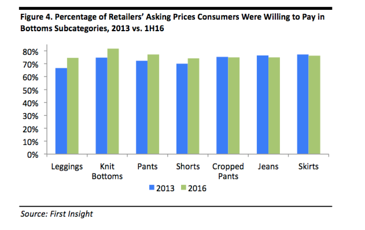 Specifically, consumers were willing to pay more for knit bottoms (made up mostly of athleisure/athleticwear) and leggings in the "bottoms" sector than other items, jumping to 82 percent (up 9 percent since 2013) and 74 percent (up 12 percent since 2013) of the asking price, respectively. First Insight conducted the tests in 11 countries, including the U.S., Spain and Canada. Euromonitor data cited in the report says that athleisure's rise has contributed to womenswear sales growth overall. Lululemon Athletica (ticker: LULU) in particular saw sales rise 369 percent from 2010 to 2015, while Nike (NKE), Adidas and Under Armour (UA) enjoyed double-digit sales growth in 2015. The report anticipates women's activewear will keep apparel sales surging as companies invest in multifunctional fabrics and technologies. The rise of athleisure hasn't gone unnoticed by companies trying to flex other muscles, like Nike. That's not to say, of course, that the trend has unstoppable stamina. In fact, enthusiasm for athleisure has already waned as the market's become more and more crowded. Prices additionally have decreased as Wal-Mart Stores (WMT) and Target Corp. (TGT) dove further into sportswear, plus fast-fashion retailers joining the fray, notes Bloomberg Gadfly. But could athleisure have a "second act?" Investopedia says that if Adidas and Under Armour elbow deeper into athleisure, the whole sector could benefit. That's not to mention if Nike puts forth a greater effort. Nike stock is down more than 18 percent on the year, Under Armour is down 21 percent and Lululemon is up 5.6 percent.